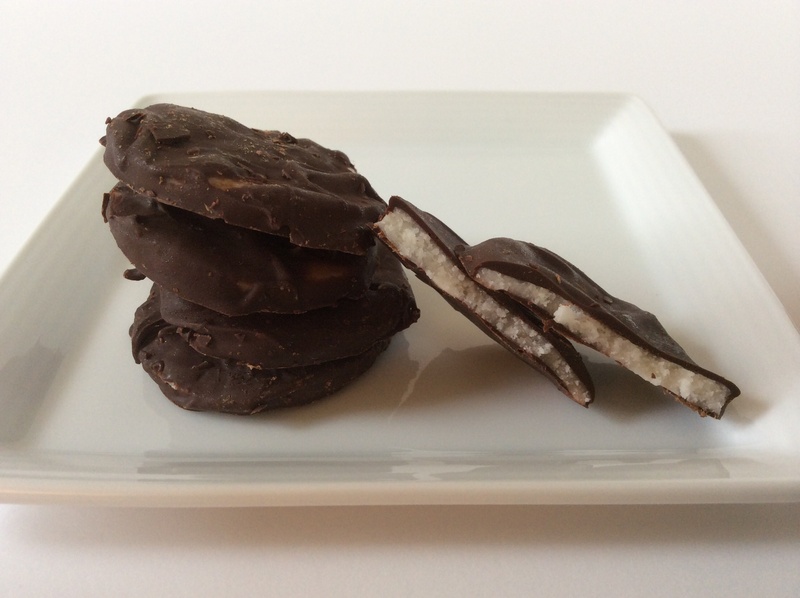 How much fun is it to discover you can make – in your very own kitchen – your favorite treat in the world, say peppermint patties? That’s exactly what happened, and you won’t believe how simple it is. In a small bowl, mix corn syrup, water and mint extract, then slowly begin adding the powdered sugar. 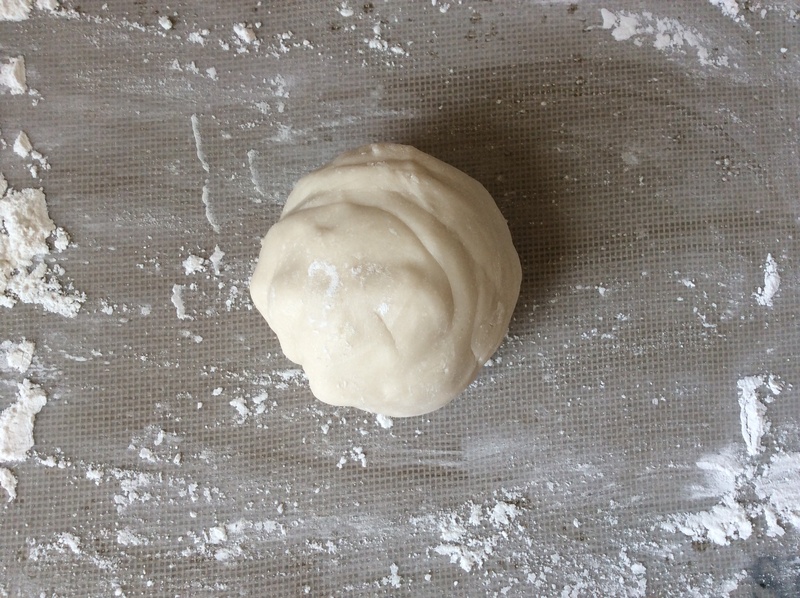 Knead dough gently and it will come together. No rolling pin needed! 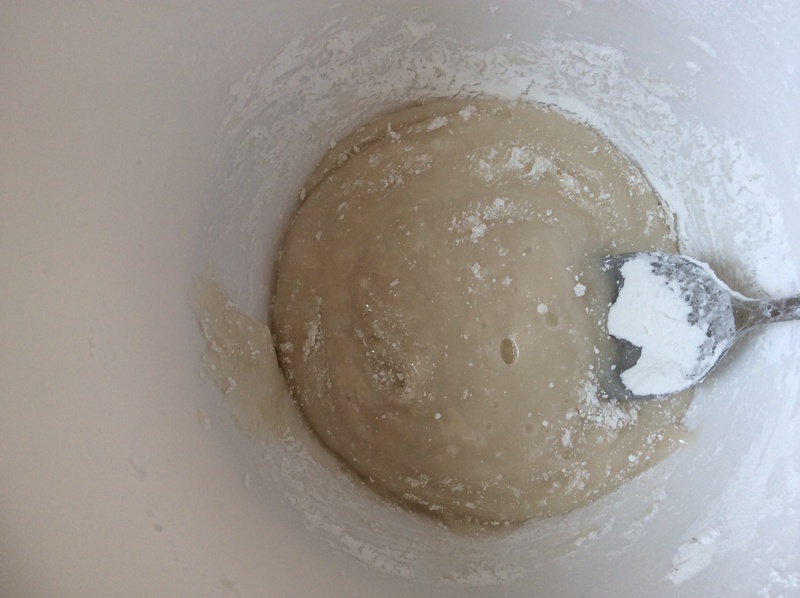 Just stretch the dough out to desired thickness, and let dry for an hour or so. Even with plenty of powdered sugar on the silpat, the dough wants to stick, so be sure to just rotate and flip every 10minutes or so. 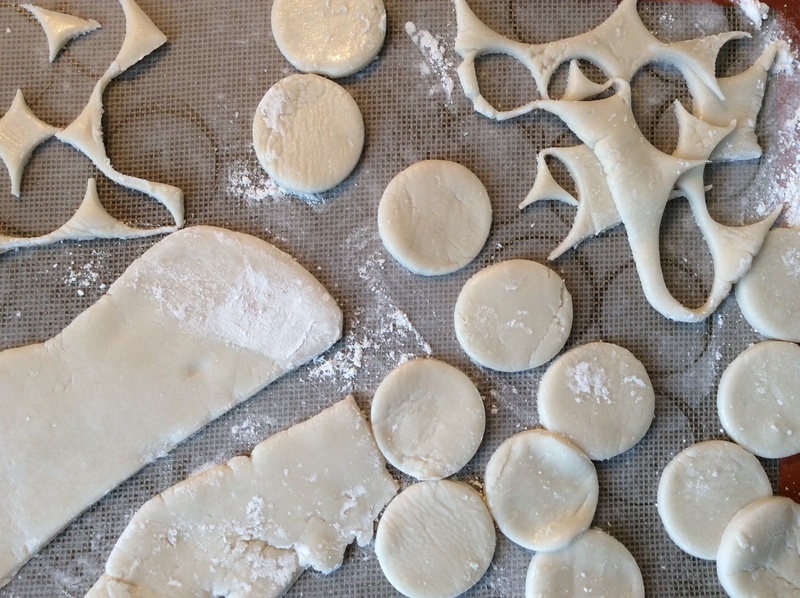 Cut out your shapes and place on parchment paper. Melt chocolate (I like extra-dark or bittersweet) in a bowl over a pan of simmering water, and quickly dip each mint into the melted chocolate; then place on the parchment. Try very hard not to eat them all right on the spot. Cool on counter, chill in freezer, devour. Delicious! 2. In a bowl, mix the corn syrup, water, and mint extract. Gradually stir in the remaining confectioner’s sugar. 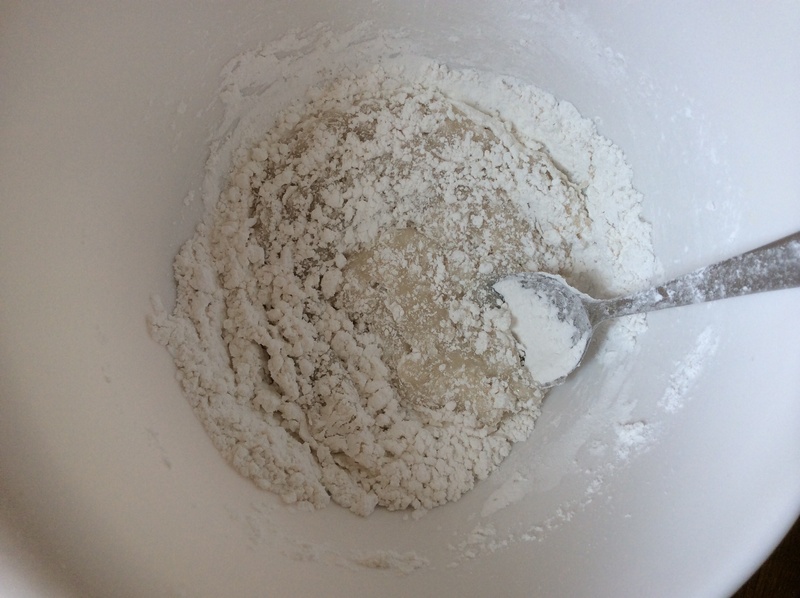 As the mixture thickens, knead it with your hands until it forms a smooth ball (it will seem dry at first, but it will come together). 3. Pat the dough out onto the sugar-dusted baking sheet about 1/3″ (1cm) thick and let it dry, uncovered, for at least 8 hours or overnight (Kristan: I couldn’t wait 8 hours! Allowing one hour drying with regular rotation of dough worked fine). 4. Melt the chocolate in a clean, dry bowl set over simmering water, stirring until smooth. Remove from heat. Line a dinner plate or baking sheet with plastic wrap or parchment paper. Cut the mint disks into six triangular wedges (Kristan: or preferred shape), brush off any excess powdered sugar. Using two forks, dip each piece in the chocolate, coating both sides, then transfer to the plastic lined plate. 5. Chill in the refrigerator or freezer until the chocolate has firmed up, then chop into bite sized pieces.